Harpsichord: a Flemish style harpsichord built by Richard Cox, reproduced after an original Flemish that still stands in the Smithsonian. Organ: our own 1892 Hook & Hastings tracker pipe organ which remains untouched tonally since its installation in 1892. This is a rare opportunity in our area to experience a Bach cantata as it was intended to be heard, as part of a worship service. 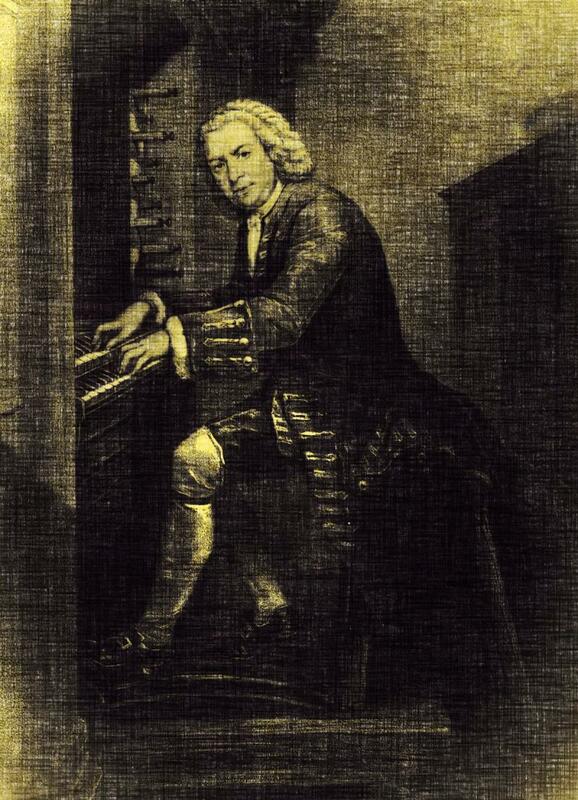 Throughout his life Bach was interested in expanding the Cantata form until it became, in his hands, a sermon in music. A small Baroque orchestra graces our chancel on several Sundays during the 2018-2019 term. This ensemble features 8-15 very talented volunteers plus double continuo (harpsichord and organ). The orchestra along with the choir of Saint Andrew's are presenting selections from church cantatas of Johann Sebastian Bach during the Sunday morning liturgy at 9:30 a.m.
A playful(!) 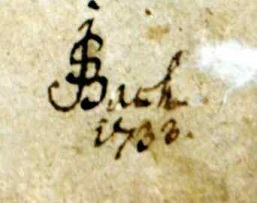 Bach manuscript signature from 1733. Sun, Oct 21, 2018, 9:30 a.m.
Sun, Dec 2, 2018, 9:30 a.m.
Sun, Mar 10, 2019, 9:30 a.m.
Selections from Cantata 80, "Ein feste Burg is unser Gott"